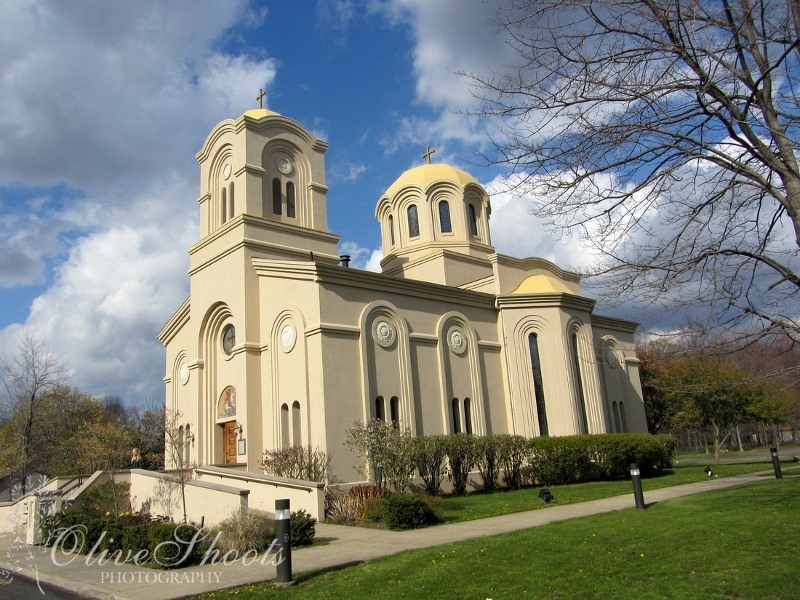 Hermitage, PA - The St. George parish hosted the last of the Deanery Vespers on Sunday, April 8, 2012, Palm Sunday. 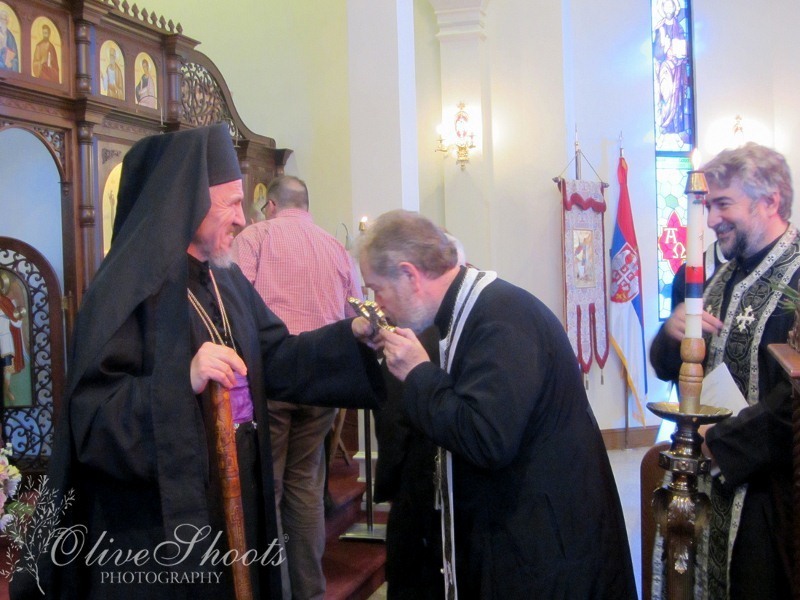 His Grace Bishop Mitrophan of Eastern America joined the clergy for the evening Vesper service. V. Rev. 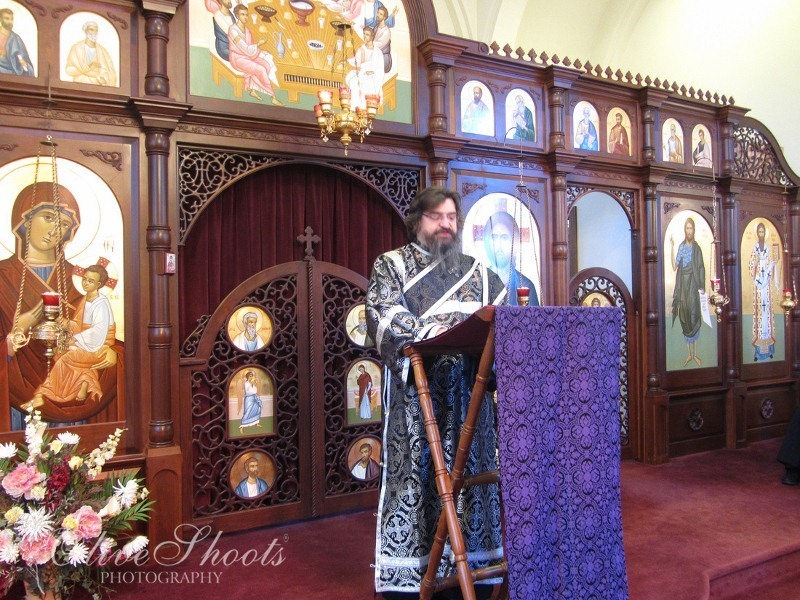 Janko Rajlich, the dean of the Cleveland Deanery, led the evening service with the concelebration of eight priests both from the Cleveland deanery and the local pan Orthodox community and one deacon. 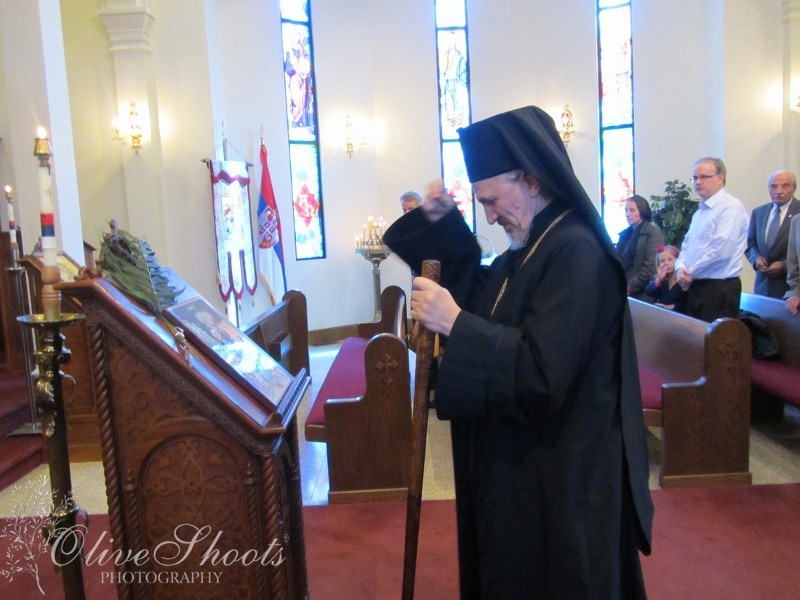 Protodeacon Milan Medakovic delivered the homily evening homily. 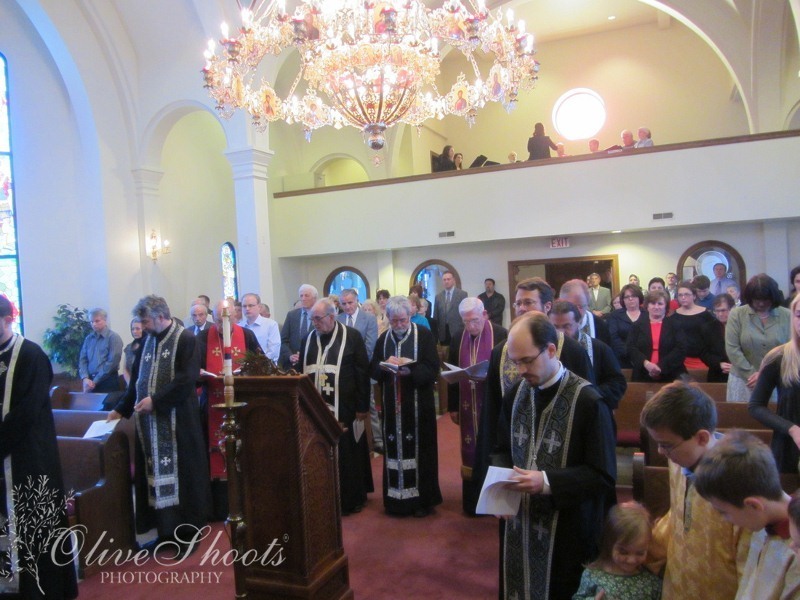 A lenten meal was served in the hall following the service. His Grace the bishop greeted everyone during the meal and reminded them of the great importance of the ensuing days of Holy Week.